Maritzburg United captain Ashley Hartog feels that the Team of Choice are good enough to improve on their seventh-placed standing on the Absa Premiership table. 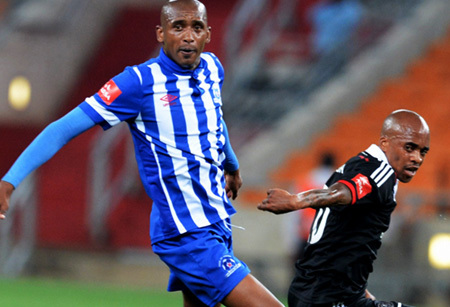 Ahead of the six week break for Christmas and the African Cup of Nations, Maritzburg were able to hold on to a top eight bracket finish to the year, despite having gone five matches without a win in their last five games of 2014. Hartog believes though that if the Team of Choice can add a little bit composure to their game, they could be climbing up the standings next year. “Yes we have done well with a lot of new and inexperienced players in the squad, but looking at the whole season, the form we showed earlier on, it was disappointing to end with a few poor results, and I feel we could have been in a better position by now. “It’s been a case of not taking our chances, and also giving away silly goals. If you don’t score, you won’t win a match, it’s no use playing the best soccer if you’re not putting the ball in the back of the net and winning games,” Hartog told the club’s official website. 2014 has provided several highlights for the PMB team, on and off the field, and were recently honoured by having two players called up to the Bafana Bafana preliminary squad for AFCON. “Its great to see two players from the club being called up to the Bafana side; it shows the team is doing well and their selection is an inspiration to the rest of the team,” said Hartog of the call ups for Kwanda Mngomyama and Mondli Cele. “The fans have been great this season – every time we play at the Harry Gwala Stadium this season there seems to be more fans down to support us.